Located on the first-floor of the complex, the two-bedroom units include two separate bedrooms one with a queen size bed and the other with a double bed. The bathroom is in-between both bedrooms and contains the laundry facilities. 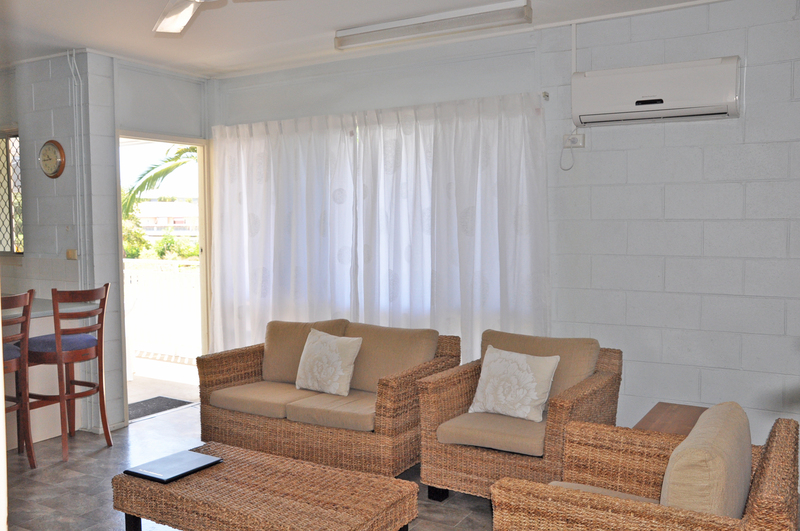 The living area has an open plan kitchen, dining and lounge room opening out to the balcony. The kitchen contains a full size fridge/freezer, microwave, electric jug, toaster and all your crockery, cutlery and cooking utensils. *If you find a cheaper rate on any site we will always price match! **Please note these are from rates, subject to seasonal changes. Corporate rates available on request.